Joseph David Mitchell was born on March 22, 1881 the son of Benjamin Franklin and Rhoda Ann Mitchell. They lived in Uniontown a small town in Crawford County of Northwest Arkansas bordering the Indian Territory, (in 1907 it become the state of Oklahoma). Joseph was the second of nine children. His older brother some seven years his senior studied medicine and became a doctor. Possible young Joseph studied under him to register in the county as a doctor in 1906. This was not enough for him so he enrolled at the College of Physicians and Surgeons in Little Rock and graduated April 28, 1909. The Medical School changed its name the following year. As a result he received notice that he should use the new name, “Medical Department University of Arkansas”, with graduation in 1913 shown on his diploma. A new diploma was issued. Dr. Mitchell had done a years internship at City Hospital in Little Rock. Still not satisfied, in 1914 enrolled in Chicago Polyclinic School of Medicine and Surgery. Then, back in Uniontown he arranged to live with old Doctor Morrow and joined in his practice. Another story: as the child became old enough he accompanied his father on house calls. Dr. Mitchell by this time had an early Model T Ford. When they came to a hill they turned around and drove up backward. The fuel line flow was only by gravity. The family left Uniontown and moved to Ft. Smith in the adjacent county, some time in the early 1920s. Dr. Mitchell opened a practice lasting until 1929. He then applied for a position with the Indian Service and was accepted for, “Conservation of Health Among Indians”. His first post was at South Dakota, Pine Ridge Agency. In 1934 he was moved to Lac du Flambeau, Wisconsin. The South Dakota Indians wrote a letter of protest. The Superintendent sent Dr. Mitchell a copy of the letter sent to his supervisor with their request, stating in part, “On their own initiative and the Indians gave Dr. Mitchell a vote of thanks for his consideration and patience and the satisfactory manner in which he treated them. The Indians were very much depressed because Dr. Mitchell was taken away from them. They wanted me to protest, and asked me to request you to return him, as he was a good doctor, who liked them and they liked him”. Dr. Mitchell remained at Lac du Flambeau until 1942 when his deteriorating health led him to apply for retirement. This was granted on March 31, 1942. He returned to Ft. Smith, Arkansas. It was WWII time. As was required he reported on April 27, 1942 to the Draft Board walking with a cane. 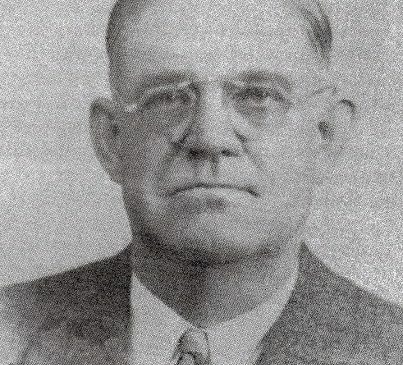 Soon he was admitted to the Veterans Hospital in Fayetteville and two weeks later died at age 61 on February 2, 1943. Burial was at the U.S. National Cemetery in Fort Smith. This humble man practiced his profession for 36 years, 13 years serving the Indians and 23 years serving the people in Arkansas.